CT Public School provides a natural and secure abode to blossoming children, providing a homely care to each individual. The hostel is located in the Residential Campus of the school. 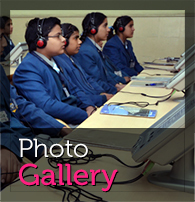 Round-the-clock security ensures a safe haven for the students. The hostel facility at present is available exclusively for boys from class I to XII. They follow a prescribed schedule which is strictly adhered to in order to bring about discipline in their routine and create a healthy routine for a lifetime. It starts with the Jogging in the morning and ends with evening sports and special subject coaching.Their weekends are scheduled with unlimited fun. At a boarding school, the staff in the boarding house look after laundry, medical care and the general welfare of the students. The Warden acts like a parent, encouraging or disciplining the pupils where appropriate. Her / His aim is to make sure the pupils are happy, get on well, work hard and are fully involved in the daily activities of the school life. The student will be encouraged to play a range of games and is expected to participate in house teams regularly. Every boy will also be encouraged to take part in plenty of other house activities: concerts, plays, musical and debating competitions, and so on. Firstly, there is the sense of belonging to a community within the school. Students feel much closer to their school and to their friends, than is normal in day schools. Secondly, students are able to have extra lessons in the evenings if necessary; this permits them to study extra subjects. Thirdly, they are able to participate three to four times as much sport, music, art, drama and other activities as compared to a day school. CT Hostel gives topmost priority to the safety of the students. A Security Officer has been designated for the safety and security of the students. A visitor is never allowed to enter the school campus without prior appointment. CT Public School has engaged the services of a highly professional Security Team. They are in charge of handling the security needs of the school. The campus is monitored 24X7, and always guarded with the security staff in and around the campus. There has never been an instance of breach of security. The security measures at the school are infallible. The students can only leave the campus on designated days and that too along with a parent or guardian.